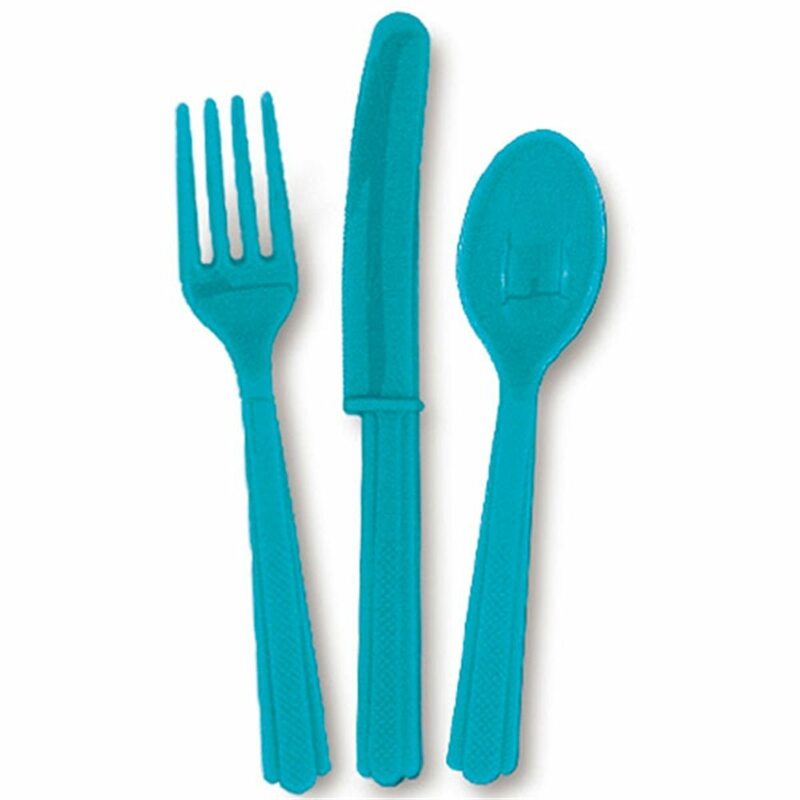 24pk Caribbean Teal Cutlery.Includes: 8 Knives, 8 Forks and 8 Spoons.Color: Caribbean Teal.Great for any party! Don't forget the dessert plates, cups and dinner plates to complete the set! Cutlery is made of plastic. Made by Unique Industries.